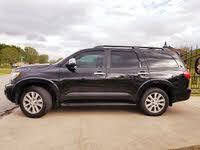 2012 Toyota Sequoia How our users rated the 2012 Toyota Sequoia. Based on 1,048 user rankings. Driven or own this vehicle? Rank this vehicle to share your opinion. 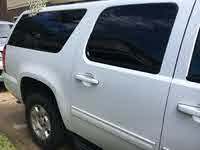 2012 Chevrolet Tahoe How our users rated the 2012 Chevrolet Tahoe. Based on 661 user rankings. Driven or own this vehicle? Rank this vehicle to share your opinion. 2012 Buick Enclave How our users rated the 2012 Buick Enclave. Based on 930 user rankings. Driven or own this vehicle? Rank this vehicle to share your opinion. 2012 Ford Expedition How our users rated the 2012 Ford Expedition. Based on 814 user rankings. Driven or own this vehicle? Rank this vehicle to share your opinion. 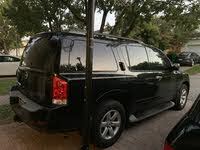 2012 Nissan Armada How our users rated the 2012 Nissan Armada. Based on 1,248 user rankings. Driven or own this vehicle? Rank this vehicle to share your opinion. 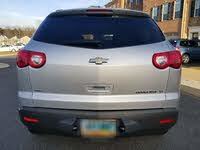 2012 Chevrolet Traverse How our users rated the 2012 Chevrolet Traverse. Based on 875 user rankings. Driven or own this vehicle? Rank this vehicle to share your opinion. 2012 GMC Acadia How our users rated the 2012 GMC Acadia. Based on 926 user rankings. Driven or own this vehicle? Rank this vehicle to share your opinion. 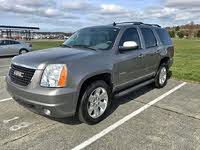 2012 GMC Yukon XL How our users rated the 2012 GMC Yukon XL. Based on 771 user rankings. Driven or own this vehicle? Rank this vehicle to share your opinion. 2012 Ford Explorer How our users rated the 2012 Ford Explorer. Based on 827 user rankings. Driven or own this vehicle? Rank this vehicle to share your opinion. 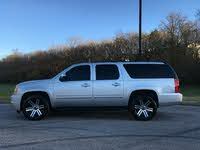 2012 GMC Yukon How our users rated the 2012 GMC Yukon. Based on 720 user rankings. Driven or own this vehicle? Rank this vehicle to share your opinion. 2012 Chevrolet Suburban How our users rated the 2012 Chevrolet Suburban. Based on 765 user rankings. Driven or own this vehicle? Rank this vehicle to share your opinion. 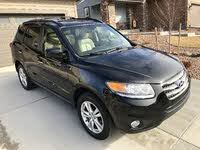 2012 Hyundai Santa Fe How our users rated the 2012 Hyundai Santa Fe. Based on 710 user rankings. Driven or own this vehicle? Rank this vehicle to share your opinion.